Listening to Beneficiaries: Why Are We So Bad At It? CEP has been actively exploring the topic of beneficiary feedback through its YouthTruth project since 2008. We were very pleased to share what we are learning – and to challenge the status quo — on the Tactical Philanthropy blog this week, where the following post was originally published. The power of feedback is almost universally acknowledged. Every day, millions of people turn to reviews written by end-users in Yelp, Trip Advisor, GreatNonprofits, and Global Giving to inform their purchasing and philanthropic decisions. The end-user’s perspective on their experience is seen as an asset just about everywhere—except in the world of foundations. Consider a recent report published by the Center for Effective Philanthropy (CEP). 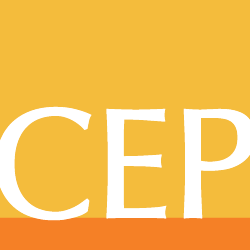 The State of Foundation Performance: A Survey of Foundation CEOs, updates work CEP completed a decade ago, looking at the types of data foundations use to assess their performance. While the report shows that foundations are increasingly looking to a range of indicators, notably surveys of grantees, only about a quarter of funders gather feedback from beneficiaries in any way. This, despite analysis showing that it may be among the most valuable types of feedback. CEOs of foundations who collect beneficiary feedback rate themselves as having a better understanding of the progress their foundation is making against its strategies and a more accurate understanding of the impact the foundation is having on the communities and fields in which it works. As head of CEP’s YouthTruth initiative, which gathers comparative feedback from students – the ultimate beneficiaries of education reform efforts, I have seen the power beneficiary feedback can have in informing local school change efforts. Consider this recent post about The California Endowment’s YouthTruth experience. So the question I ask myself is this: How can we better understand why foundations have not seriously embraced beneficiary feedback, and how can we encourage its use? To elevate beneficiary perspectives, I am convinced that at least three things need to happen. We need to believe as a field that beneficiaries’ perspectives matter. Foundation leaders need to understand the connection between beneficiaries’ perspectives and good strategy – to acknowledge that this data has the potential to inform funders’ theory of change. And we need easy-to-use tools to collect and make sense of the feedback as we acquire it. The third area is where we have made the most progress, as we are increasingly well-positioned with new tools for gathering beneficiary feedback. Now we need to push ourselves on these first two points. With regard to the first, we need to address the biases that convince some in the field that beneficiary feedback is less valuable or objective than the opinions of say, grantees or donors. With regard to the second point, can foundations expect to learn anything that will enable them to make different decisions from beneficiary feedback? Speaking from my own experience, we don’t know for sure but we are getting close. YouthTruth was started by CEP, with support from the Bill & Melinda Gates Foundation to test this very notion. To date, YouthTruth has gathered perspectives from more than 71,000 students from 164 schools nationwide. With this dataset, we have been able to examine the degree to which there are systematic differences in student perspectives based on the type of school they attend. Moreover, we have the ability to identify differences in student perceptions, say about their futures, across groups implementing a common strategy, such as a STEM strategy, and provide insights about the relative effectiveness of various efforts. This to me seems like helpful and actionable data that can inform funders’ decision-making. While this is one isolated example, we need many more experiments such as YouthTruth to push our thinking about the benefits and limits of beneficiary feedback. I would argue that since beneficiaries are ultimately the people we are all trying to serve, we need to take dramatic steps to take their perspectives into account. We need to ask each other the tough questions about why this feedback is not being more widely used and challenge ourselves to determine the potential of beneficiary feedback once and for all. Valerie Threlfall is vice president – youthtruth initiative at CEP.